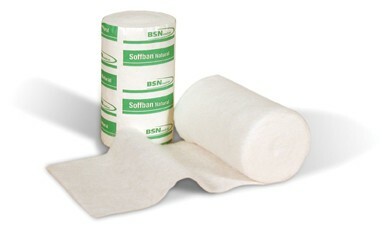 Soffban Natural tears and teases apart easily, aiding rapid application and reducing the risk of stressing the fracture. It is also autoclavable, making it suitable for use in theatre or sterile procedures. Made entirely from rayon fleece, Soffban Natural is an orthopedic padding that provides soft, comfortable cushioning and protection for the patient, yet still conforms well for easy shaping to all body contours and joints. Ideal for use under Gypsona plaster of paris bandages, the Soffban Natural fleece absorbs sweat and exudate, reducing the risk of skin maceration and irritation.